You're never more than a few feet away from a phone charger. It's understandable. Your whole life revolves around your smartphone, if you're like most people. You have your calendar set up to remind you of your schedule throughout the day, you respond to work emails and answer calls. You chat all day long on Facebook and Instagram with friends and family. You use the camera, the alarm clock and on and on, which is why you dread a dead iPhone battery. But what do you do when you can't charge your iPhone? You plug in your charger and your battery drains and dies. Stop! Don't run to the Apple Store or the iPhone repair kiosk at your local mall, yet. That can set you back hundreds of dollars. They'll most likely suggest you just buy a new phone -- "there's nothing we can do." 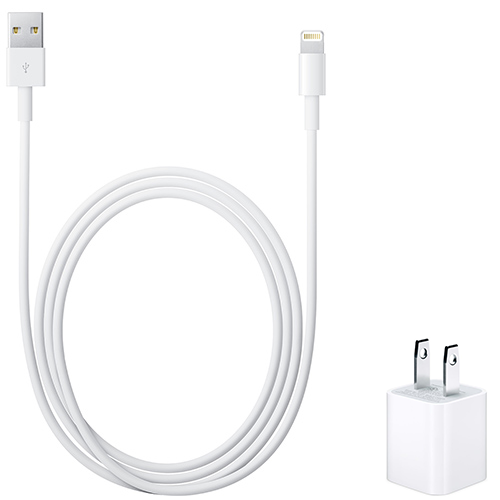 Keep reading for five solutions to charging your iPhone when it seems to be dead. Trust us! This simple tip is going to save you hundreds of dollars and hours of frustration. Do not panic if your iPhone isn't charging, or don't panic yet. There's a very good chance that you just need to clean your iPhone. Tip: You may want to grab your magnifying glass for this. Check the charging port at the bottom of your iPhone. Use a soft brush, a pin or a paperclip to clear out any dust that has accumulated in your charging point. It's in there, no matter who you are, and it's preventing charging, so get it out. Then, plug your charger back in. Make sure it's firmly inserted into your iPhone and that the plug is firmly inserted into your wall socket or another power source. Do not spend hundreds of dollars on a new iPhone just because you think it's dead. You might just need to change your iPhone battery. You don't want to do this yourself, unless you have a lot of experience fixing iPhones. Plus, Apple will most likely not do future repairs if they see that you've messed with it. Go to an authorized Apple repair store. They can take off the back of your iPhone and swap out your dead battery with a new one, often for $50 or less. Try multiple charging cables, plugs and power sources to see if any of those work. You might have a faulty charging cable. Has your dog been chewing on it? Try plugging your iPhone directly into your laptop's USB port. Try different wall sockets and make double sure that your charging cable is firmly inserted into your iPhone. You may just need to reset your iPhone. You know how technology is - for some mysterious reason, you can fix loads of problems with tech devices by restarting them. Here's how Apple Support suggests you reset your iPhones (8 and newer). Press and release the volume up button, then do the same with the volume down button. Hold down the side button until you see the Apple logo on your screen. Here's how to do it on older iPhones. Hold down the side button and the volume down button at the same time, until you see the Apple logo. Warning: This step will result in you losing your iPhone settings and information. Make sure to back up your iPhone before proceeding. So, what's next if you've tried all these steps and your iPhone still isn't charging? You may need to pay for Apple to service your iPhone - call customer support or go to an Apple Store. Or, you can go to your cellphone provider's store. Head to the mall or a nearby shopping center and go to your AT&T, Sprint, T-Mobil or Verizon store. You may end up paying quite a bit of money, maybe a couple of hundred dollars to get it fixed or hundreds more for a new iPhone. But it may be worth it when so much of your life is put on hold when your iPhone isn't charging. Wouldn't it be great if your iPhone stayed charged all day? You can daydream about it. Guess what? While the latest iPhones on their own will last you about a half day before you need to recharge them, Apple has a clever solution to keep yours charged all day and night. Yikes, though. Is this budget-busting price tag too much or worth it? Tap or click here for a battery-saving tip!